Experiences and memories make us who we are; when they are taken from us, it can challenge our sense of identity. Dementia is one of the most common conditions in the UK, and now theatres are bringing positivity back to those living with the condition through their creativity. Lorne Gillies found out how theatres are helping people with dementia reclaim their identity. In this fast-paced world, we can all be slightly forgetful at times. But when this begins to affect your day-to-day life it can be terrifying – and this is the reality for the 850,000 people in the UK who have some form of dementia. Theatres across the UK are now stripping dementia of its negative connotations with dementia friendly theatre productions. West Yorkshire Playhouse is gearing up to host their first Festival of Theatre and Dementia later this year, telling the story of dementia from those with first hand experience. Leading the way in dementia friendly shows, the Playhouse have been working with people living with dementia since 2010 – with their first dementia friendly performance of White Christmas hitting the stage in 2014. Community development manager Nicky Taylor found it striking, seeing how a live theatre show resonated with those living with dementia. 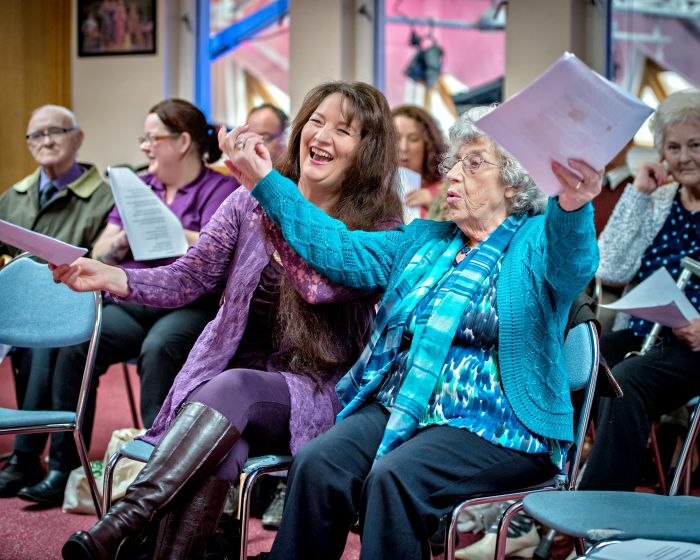 Prior to adapting mainstream shows, the team at the Playhouse have conversations and consultations with groups of people with dementia to discover how best to alter the shows. Of their pilot performance of White Christmas, Nicky says: “It was a musical, so we used a lot of the songs to engage people. 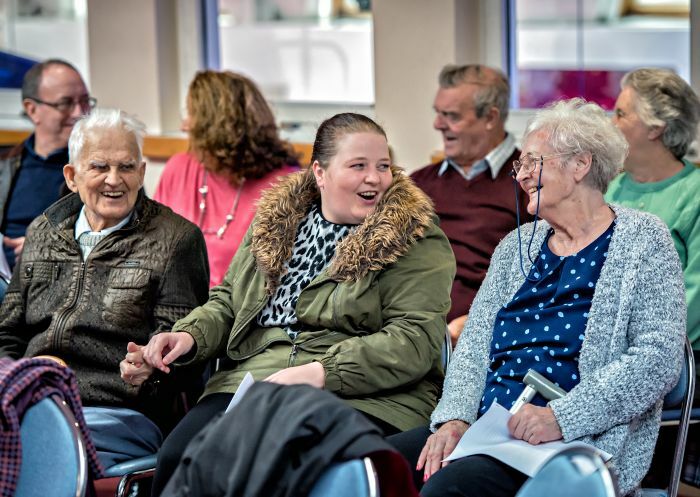 Also, it’s a very human story about friendship and support and how things change as you age.” It was a powerful story to adapt as their first dementia friendly performance. hand in hand with the feedback given from consultations. Visitors in the past expressed that, due to the loudness of a show, it affected their perception of the performance, making the enhancement of a person’s experience paramount. Nicky continues: “Some people with dementia might have difficulty processing sounds, particularly competing sounds, so if there is a very vibrant sound design on a show we might look at stripping that back, still telling the story in the same way, but making it a more comfortable experience.” The team also work hard to ensure the shows being adapted are appropriate. Schedules are set 12 months ahead and have been vetted by those with dementia who attend regular meetings with the theatre – although adapting shows is time consuming. “People with dementia don’t just want to see things they’ve seen before,” Nicky says. “They still want to have new adventures.” And this led to the theatre’s production of Anniversary. A contemporary piece of dance performance, made entirely by older performers, Anniversary was a huge success due to the pace of the show. Made up of short scenes and clear storytelling, strong visual moments and being musically engaging, it was an extremely successful show that could be enjoyed by those with dementia and their peers. West Yorkshire Playhouse are true pioneers of dementia friendly performances and have advised other theatres across the UK to do the same, including Curve in Leicester, The Millennium Forum in Derry, Nottingham Playhouse and more. The Festival of Theatre and Dementia will shine the spotlight on the positives of living with dementia. A dementia diagnosis can regularly be met with despair and misery, but through the productions, the potential for a new way of life will be explored. 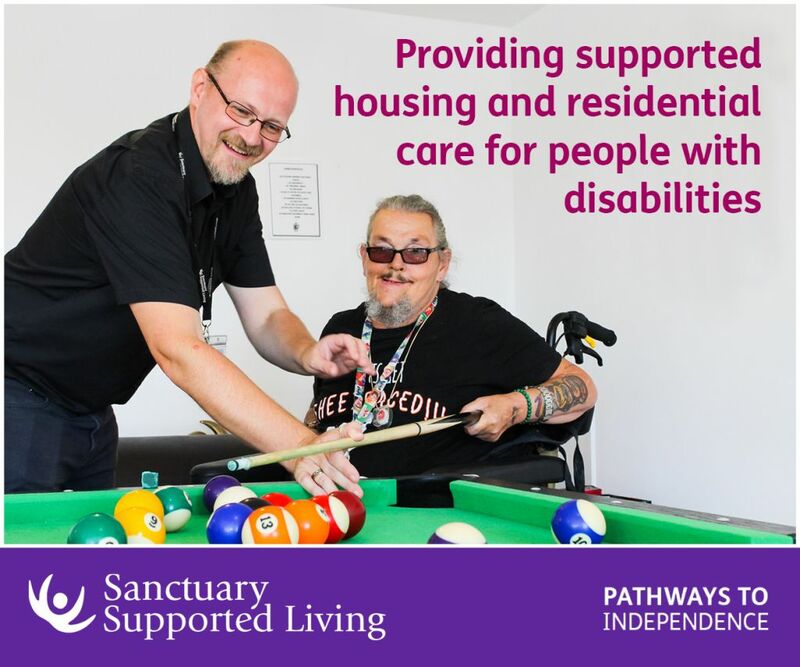 Creativity is paving the way for those living with dementia to diminish negative aspects of their diagnosis and continue enjoying activities they did before. As more theatres follow suit, it won’t be long until everyone can enjoy a dementia friendly performance. For more information on West Yorkshire Playhouse and their dementia friendly productions here. Alzheimer’s Society can provide information on living with dementia through their website. Be the first to comment on "Dementia Friendly Theatre"